St Mary’s wishes everyone a happy and holy Easter. The College will close on Thursday afternoon, 18 April and re-open for general business on Monday, 29 April. The Easter School, in association with the West Belfast Partnership Board, will be held in the College from 23-26 April. 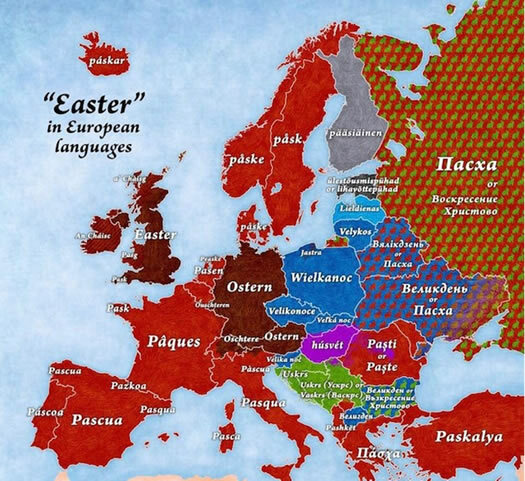 The following map informs us of “Easter” in a great variety of European Languages.